We are always working to improve the services we provide you, our customers. Many of you have told us you would like an easier to use Mobile and Online Banking platform. Well, we have been hard at work making your requests a reality. We’re excited to announce that a new and improved Mobile and Online Banking experience is on the way! Whether you access online banking from a desktop, tablet or smartphone – the experience will adapt to your device – and include touch-enabled capabilities. Our new, more intuitive navigation and design will provide simpler access to key features, making it faster to find the information you need. Rest assured, you’ll find the same advanced security you know and trust. 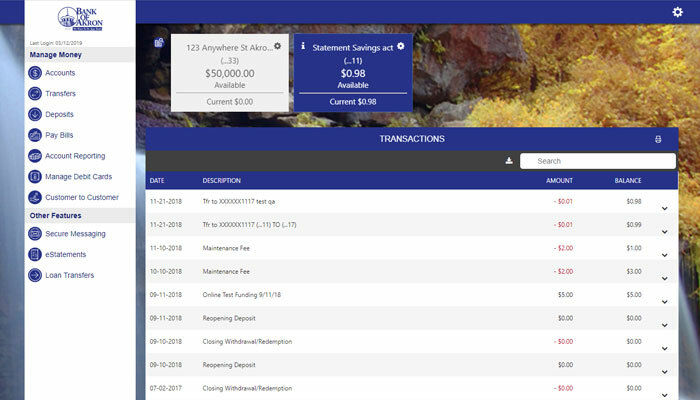 In the coming weeks, we will be sharing more information on our new Mobile and Online Banking platform, including when the conversion will be happening and what to do when you log in for the first time. Thank you for your continued support, we look forward to a better online banking experience.